5710 ft (1740 m) . 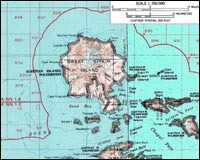 Great Sitkin is one of the larger volcanoes of the western Aleutians, occupying much of the area of its 10 mile (16 km) wide namesake island. 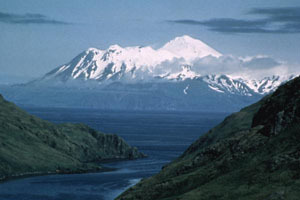 An ice-filled caldera about one mile (1.5 km) in diameter truncates the top of the volcano, and the summit cone lies along its eastern rim. Great Sitkin is active and has erupted numerous times during the 20th century. 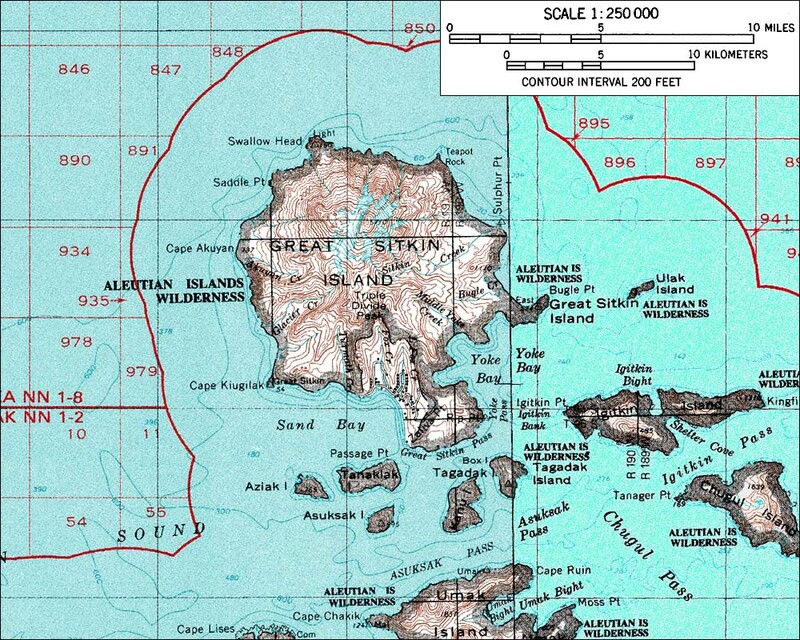 It is located about 25 miles (40 km) east of Adak, so the easiest access would be by boat from there, landing at the abandoned settlement at Sand Bay on the southwest coast.